We were visited by Oxford Research who held a case competition at Ekonomikum on the 8th of December. 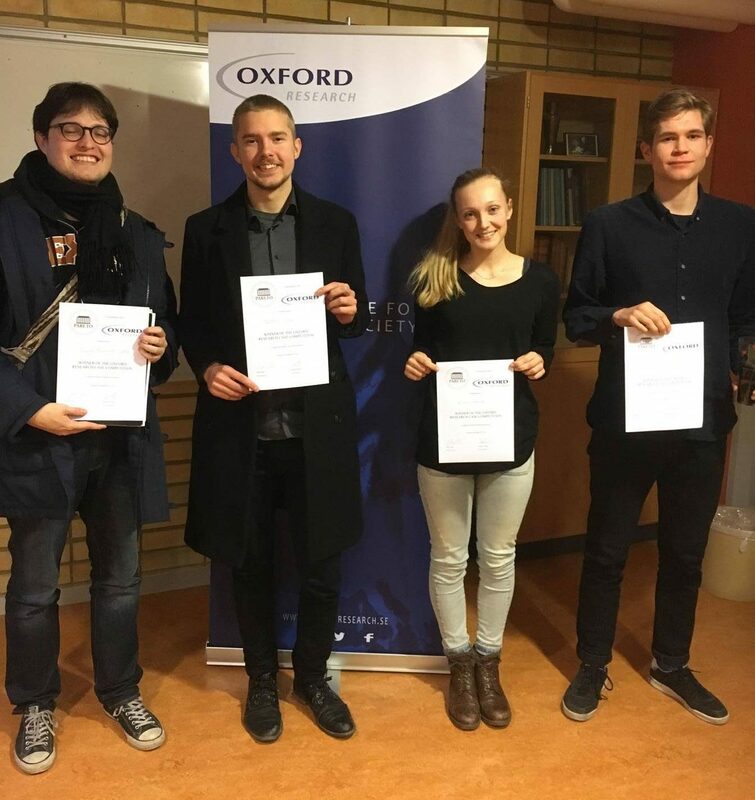 We’d like to congratulate Daniel, Mattias, Karen and Jonathan who were on the winning team! The Annual Pareto Christmas Party! In the basement of Kantorsgatan 36, on the 11th of December a Christmas miracle is set to occur! Consider a party divided into two periods. In the first period the guests bring their own capital consisting of christmasy food to the Potluck (Knytis) and alcohol. Each individual will arrive with their initial wealth of food and alcohol and use their party labour to produce party vibes. Each individual will smooth their alcohol and food consumption over the two time periods in order to maximize their partytime utility. At the end of the first period we move into the second period and continue on with the party vibes we earned in the first period. In the second period we will play games (no ponzi games, just beer pong) and consume the remaining alcohol. (We don’t work in this period 😉 )If you’d like to attend make sure you click ‘attending’ in the Facebook event. Posting there to coordinate who brings what is also greatly encouraged! If Facebook is your thing, there’s an event here. After the roaring success that was the last karaoke night, we’re doing it again! So it’s time to stretch those vocal cords and to start practising your favourite choruses, because on the 3rd of December at Gothenburg Nation we’re all going to show Uppsala that we’re truly the best at karaoke. Interested in becoming a member of Pareto or learning more about the organization? Pareto invites all who are interested to join members of the board for a pub night at Norrlands nation.